I am so pleased that Louisa, the high school senior that I have been mentoring, has completed her senior project! The title of her project is “Quilting as a Communication Tool,” referring to quilt blocks that were used as code during the underground railroad. The physical part of her project was to construct a quilt. 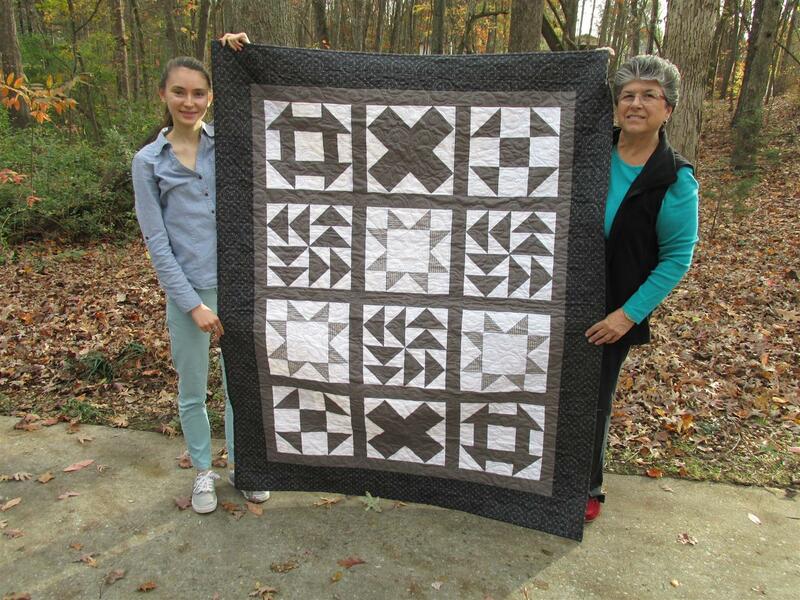 She named her quilt “Juxtaposition.” I previously posted the blocks I constructed using my fabric up to now, but am absolutely thrilled that her quilt can now be revealed. 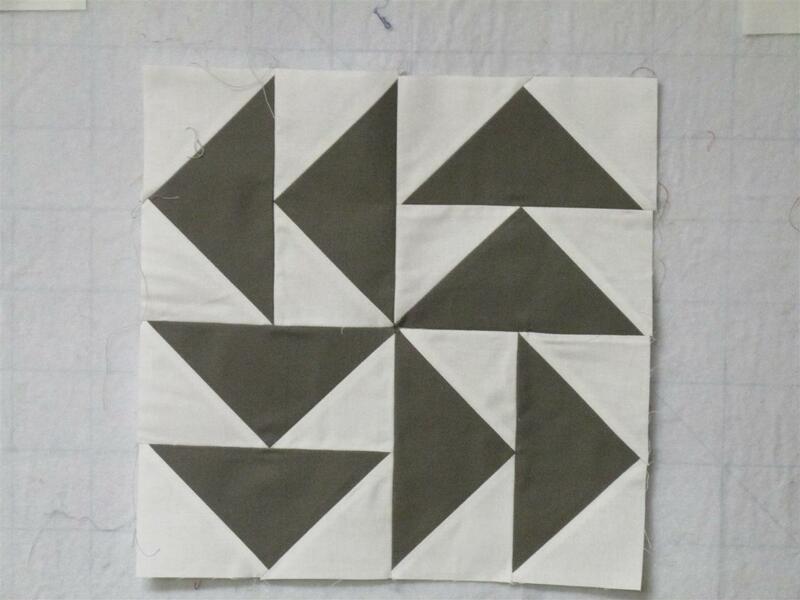 Louisa chose a gray and white pallet and a few very challenging blocks for a beginner. 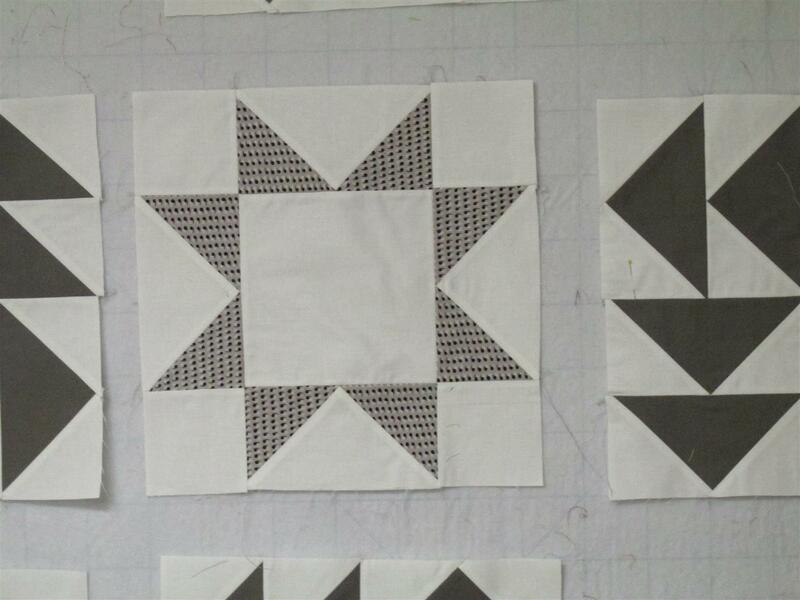 As you can see, all the points in her Northern Star and Flying Geese blocks look really good! Being her mentor was such an honor. Louisa is an intelligent, focused, sweet, personable, and lovely young lady. Over 35 hours were spent on the designing, cutting, pressing and sewing. And yes, except for the long arm quilting which was professionally done, Louisa made this quilt herself. I only contributed knowledge, instruction and direction. It was quite amusing that she tired of setting seams and pressing them open (there were soooo many!!). She is now anxiously going through the process of college applications. Wherever she attends, I know she will do well and will have a lovely quilt that she made herself on her bed in her dorm room!